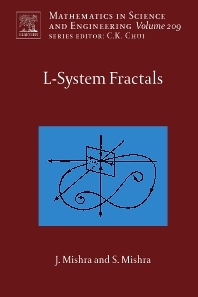 L-System Fractals covers all the fundamental aspects of generating fractals through L-system. Also it provides insight to various researches in this area for generating fractals through L-system approach & estimating dimensions. Also it discusses various applications of L-system fractals. College of Engineering and Technology, Department of Information Technology, Bhubaneswar, India. Indira Gandhi Institute of Technology, Department of Computer Science and Application, Sarang, Talcher, Orissa, India.